Professional software for installers, developed from the feedback of our customers. Eldes Utility is designed for extremely fast installations and convenient system maintenance. Eldes Utility is one of the main reasons why installers all over the world choose us. 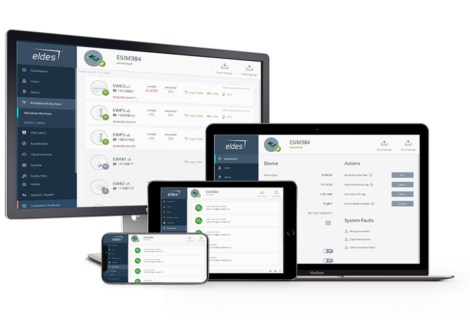 The flexible software is developed to unleash a full system potential – configure Eldes alarm panels, accessories, communicators and adjust them to any customer needs using PC, tablet or even a smart phone. Eldes Utility can be used on Android, macOS or Windows and supports more than 15 languages. 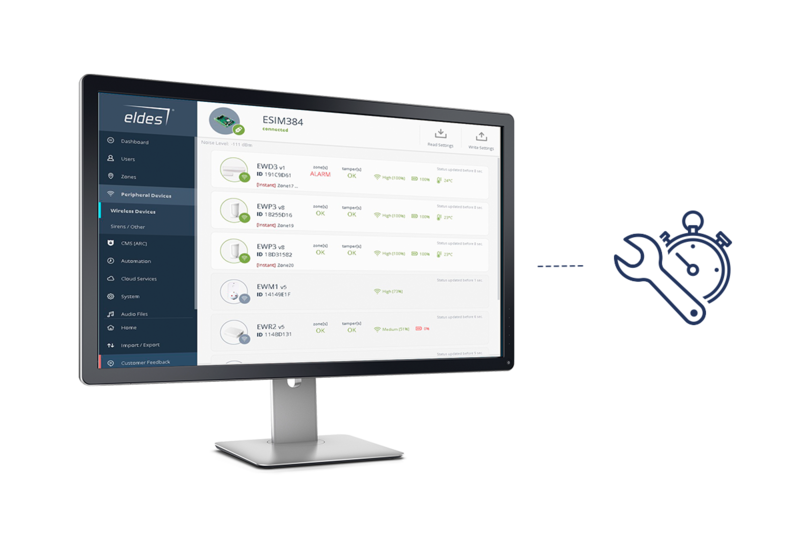 Eldes Utility is designed to save your time: it contains optimized user interface, system pre-configuration and many other time-saving features. Informative hints make it even easier – it feels like you are always assisted by Eldes professional.The installation manuals can be viewed and downloaded directly from Eldes Utility. Your installations will become 2 times faster! Eldes Utility allows to configure the security system remotely. 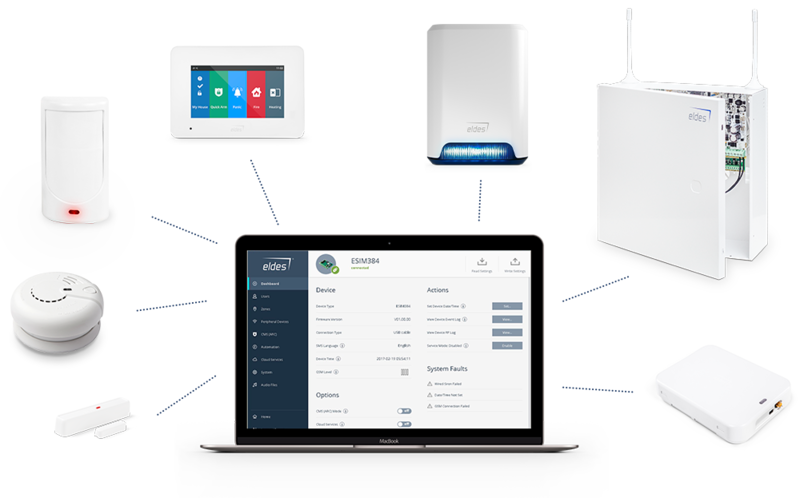 You can add/remove users, assign rights on specific areas, remove wireless devices and fully configure Eldes Security System. Data encryption and additional security codes ensure the maximum level of safety during remote connection.